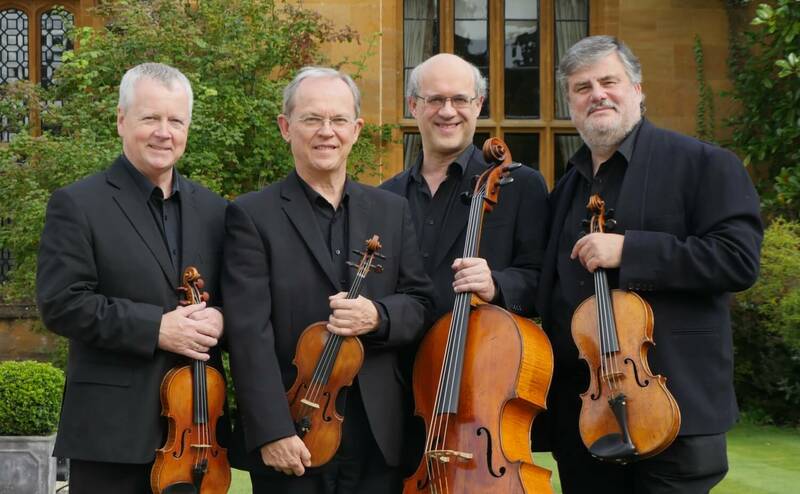 The Coull Quartet formed in 1974 at the Royal Academy of Music and, in 1977, were appointed Quartet-in-Residence at the University of Warwick, a position they still hold today. 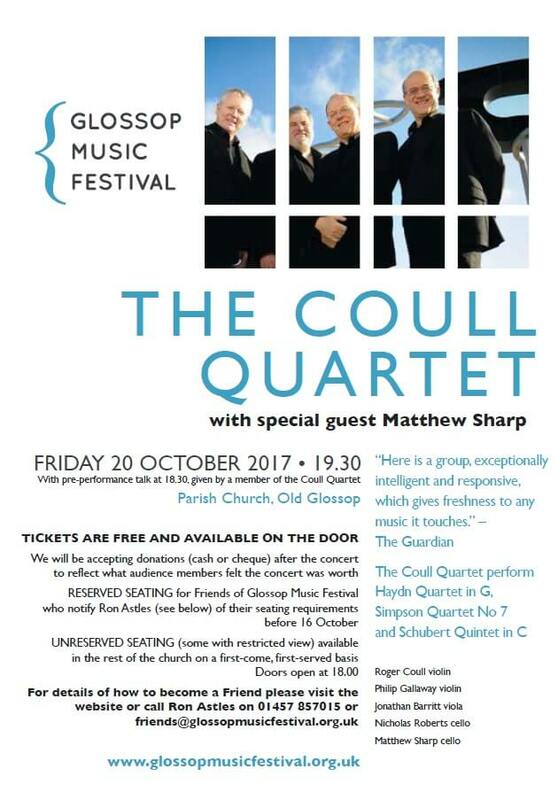 They bring with them our great friend, cellist and baritone Matthew Sharp, who returns to Glossop following his appearances during our Summer Festival. Tickets are free and available on the door. 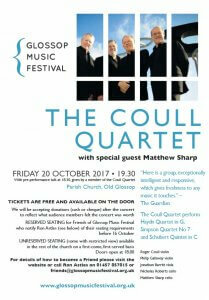 We will be accepting donations (cash or cheque) after the concert to reflect what audience members felt the concert was worth. Unreserved seating (some with restricted view) is available in the church on a first-come, first-served basis. Doors open at 6.00pm.